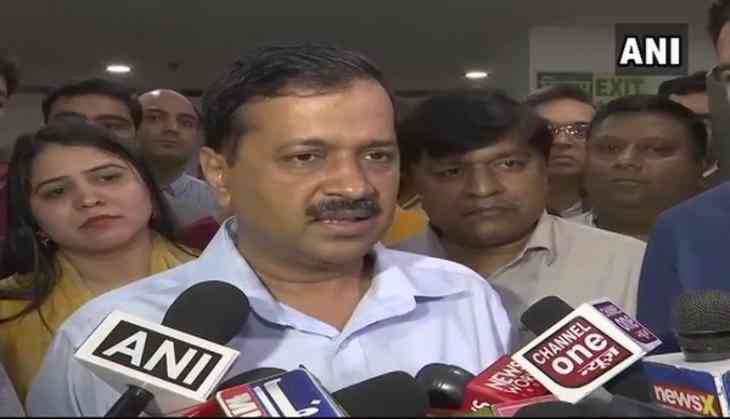 With the rise in the level of pollution in Delhi and the National Capital Region (NCR), Chief Minister Arvind Kejriwal on 9 November said the decision on 'Odd-Even' formula will be taken soon to control the growing menace of pollution in the city. "For a month (from mid October to mid November) the whole northern India becomes a gas chamber, not just Delhi," the chief minister said after inaugurating 20 continuous ambient air quality monitoring station here. "Decision on Odd-Even formula will be taken by today or tomorrow, if need arises," he added. He said the increase in the Particulate Matter (PM) in the capital is not due to local reasons. He further said the people and the Delhi Government are ready to take all steps to tackle the issue but that would not be enough until solution to crop burning is found. "Until state Government's don't find economically viable solutions to crop burning, the rise in pollution will not stop,' he said. The chief minister also called on his counterparts of the neighbouring state and the Central government to come together, keeping politics aside and find a solution to the issue. Pollution in the national capital has reached disastrous levels with smog enveloping the whole city. The Health Ministry on Wednesday issued a pollution advisory, asking citizens to drink plenty of water and to avoid areas with smoke or heavy dust, among other measures. All schools in the nation capital will remain shut till Saturday. The city's air quality worsened ahead of winter as cooler air traps pollutants near the ground, preventing them from dispersing into the atmosphere.